Guest host for 10/2/11 #storyappchat: Annie Fox! We’ve got another fantastic guest host lined up for this week’s #storyappchat: Annie Fox! Many of you know Annie as one half of the Electric Eggplant dynamic duo, but she’s also a well-respected author, educator and lecturer. She’ll be talking about ways to create kids’ apps that entertain and promote SEL (social and emotional learning). 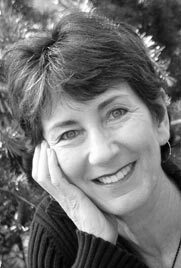 Annie is the author of the Middle School Confidential series of books, as well as the Raymond and Sheila picture books. Find out more about Annie at her website, and make plans to join us for #storyappchat this week (October 2 at 9:00 p.m. EDT). See you then! Topic for the 9/18/11 #storyappchat: Open Mic Nite! That’s right–YOU get to choose the topic (or topics) for tonight’s #storyappchat. Bring whatever’s on your mind. This could include issues you’ve been struggling with, impressions of a new tool you’ve been trying out, marketing tips/tricks, or just come to hang out and be inspired. This is also a great opportunity for you to bring ideas on future topics: what would YOU like to cover in future chats? We will ramp up at 9:00 p.m. Eastern tonight, 9/18/11. Just use the #storyappchat tag to participate! Need a primer on how to take part in a Twitter chat? Check out Debbie Ohi’s primer here.